If I’m driving along the motorway I sometimes find myself stuck behind a lorry going slowly uphill, with a stream of cars overtaking us. There’s nothing I can do but sit and wait for a gap in the traffic, so that I can pull out and travel more at the speed I’d like to. When I’m in this situation it can feel as if I’m going backwards. I suppose this is because I am behind where I would be if I had not got stuck – it’s as if there is a second, imaginary version of myself that is ahead of the real me. While it feels as if I’m going backwards, I’m not really. I haven’t actually selected reverse gear, which would be quite inadvisable and slightly hazardous on a motorway. I am still travelling forwards, getting nearer to my destination, and I will eventually get there – just marginally later than if I hadn’t got stuck behind that lorry. This illusion – the feeling that you are going backwards – is something that people can experience in all sorts of different situations. 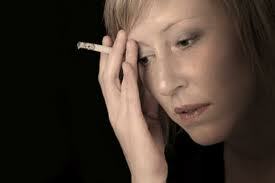 For example, people who are trying to give up smoking, or deal with some other addiction, quite often have a relapse. It’s rare that someone can decide to give up and then carry it through successfully at the first try. It is much more common that people will try to give up multiple times, but their resolution will fail, sometimes quite quickly, at other times after a much longer period of abstinence. When the addict relapses there can be a terrible feeling of failure – that it’s all been a waste of time and effort – that they are a weak person – that others will be disappointed in them. Typically an addict will deal with such feelings by having a smoke, or a drink – by indulging in whatever their particular addiction is, to give themselves a little boost. And so they feel more of a failure and they are back into a cycle of addiction. 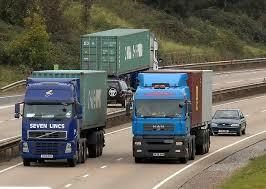 It can be helpful to adopt a mind-set more like that of the motorway driver. 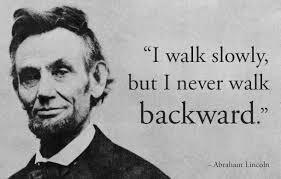 “I am not going backwards, I am going forwards, but not as fast as I’d hoped”. Thinking of it like this can be much more positive. “I’ve tried to give up; I’ve relapsed. I am going to get there and by thinking about why I’ve relapsed I can make that less likely to happen the next time I decide to give up.” In other words, we look at the ups and downs as times when we are going faster or slower, rather than as times when we’re going forwards or backwards – and we look at them as opportunities to learn and improve how we try to give up. I think this same sort of experience can happen in all sorts of settings – not just in the case of an addict. If you are trying to learn a new skill, for example, there will be times when you seem to be worse than you were yesterday at playing the piano, or driving, or doing your job. It can be the same, too, for people who have attended counselling. Counselling is about change, and when people finish a course of counselling they have, in general, made changes in their lives – or feel ready and able to do that. But sometimes the changes may not stick, or the planned changes may not happen as hoped. And then, like the addict, you can feel that it was all a waste of time, that you’ve gone backwards. For some people, this can make it difficult to return to counselling – to admit to your counsellor that you’ve “failed”. But of course it can be very helpful to return. You haven’t failed – you’re not going backwards – your arrival has just been delayed a little. This entry was posted in Making changes and tagged addiction, alcohol, change, emotions, failure, feelings, perspective, understanding. Bookmark the permalink.